Loctite 408 Instant Adhesive – Low bloom, low odour, capillary. Loctite 408 has low odor and low blooming properties and is particularly suitable for applications where vapor control is difficult. The product provides rapid bonding of a wide range of materials, including metals, plastics and elastomers. 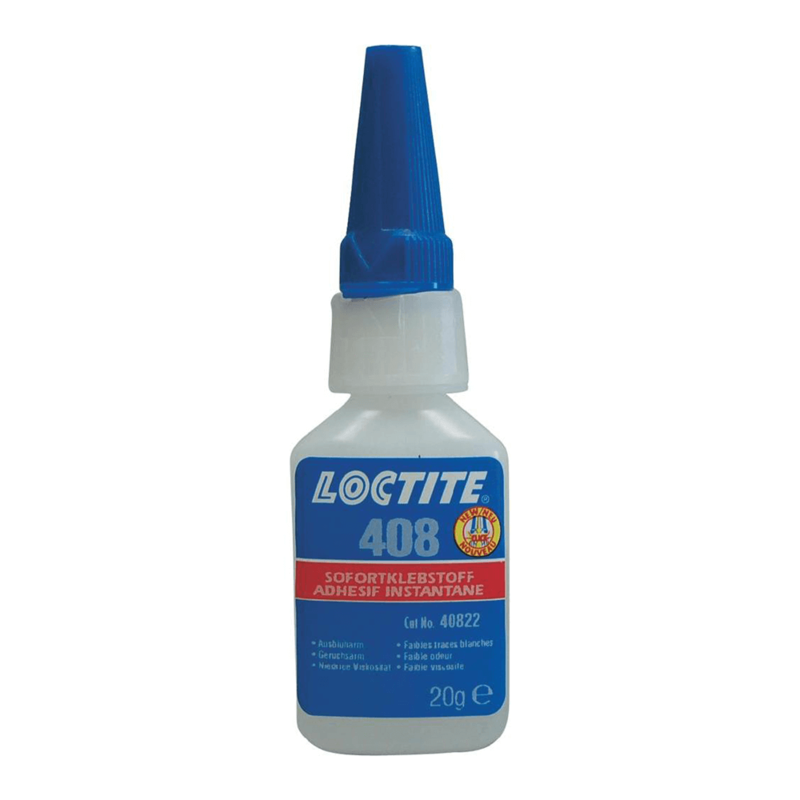 Loctite 408 is particularly suited for bonding porous or absorbent materials such as wood, paper, leather and fabric.